Elvis Aaron Presley is more popular today than ever, yet he died nearly forty years ago. His music is constantly remixed and re-released to a new generation of fans, and his image thrives in popular art and culture. Elvis's Graceland home and Tupelo birthplace have become places of pilgrimage. His relics command astounding prices at auction. Around the world it is estimated that there are 200,000 Elvis impersonators paying tribute to their hero. Elvis is the subject of some truly astonishing rumours and legends, including the one that he never actually died. Ted Harrison asks what lies behind the remarkable resurrection in popular culture of the King of Rock 'n' Roll. The Death and Resurrection of Elvis Presley, now available in paperback, tells the story of Elvis after Elvis. It shows how his estate, which was pillaged by his manager, was saved through the business acumen and financial vision of his ex-wife Priscilla Presley. It explores a spiritual dimension to the Elvis revival, where fans create a fantasy quasi-religion through which they blend and confuse Elvis and Jesus. 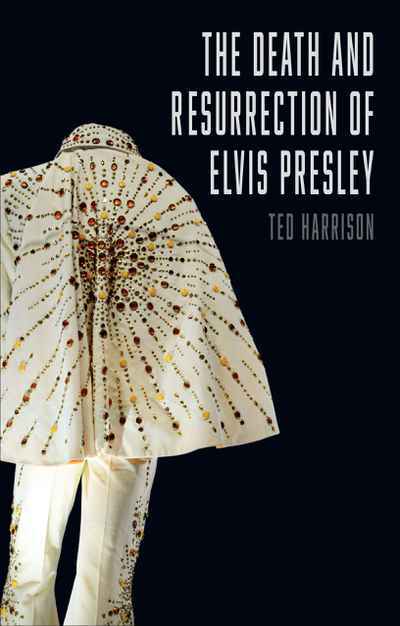 In the growing myth of Elvis, Harrison identifies a vibrant synthesis between money and faith, unique to the modern age, but reminiscent of the early centuries of Christianity. Underpinning the whole story is Elvis's extraordinary charisma, thousands of fans simply having a lot of fun and ultimately some great, enduring music. This is a must-read for the many millions of loyal followers, as well as those who are more critical of the King.